Making Popcorn is fast & easy with little mess. Popcorn tastes good and has lots of fiber for your diet, is low in sodium and low in fat. 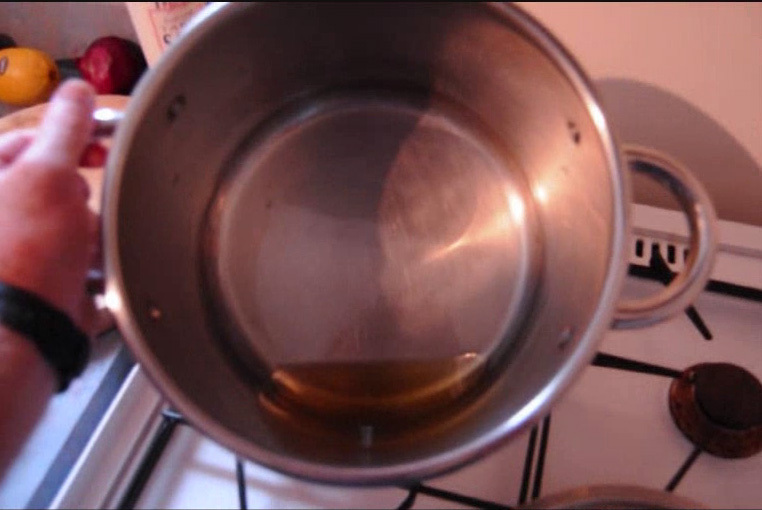 Pour about 2 tablespoons of oil into a pot. (Enough to give the bottom of the pot a good thick layer of oil). 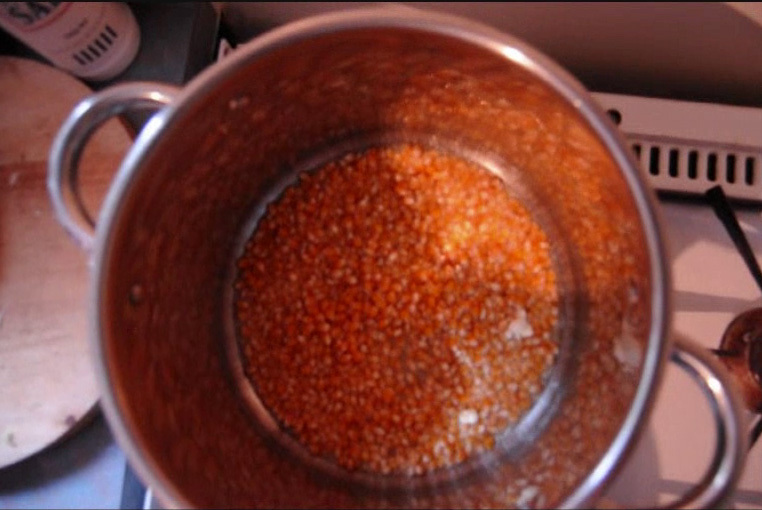 Place two pop corn kernels into the oil and put it on the stove on a high heat. When the two pop corns pop the oil is at the right temperature (to start). 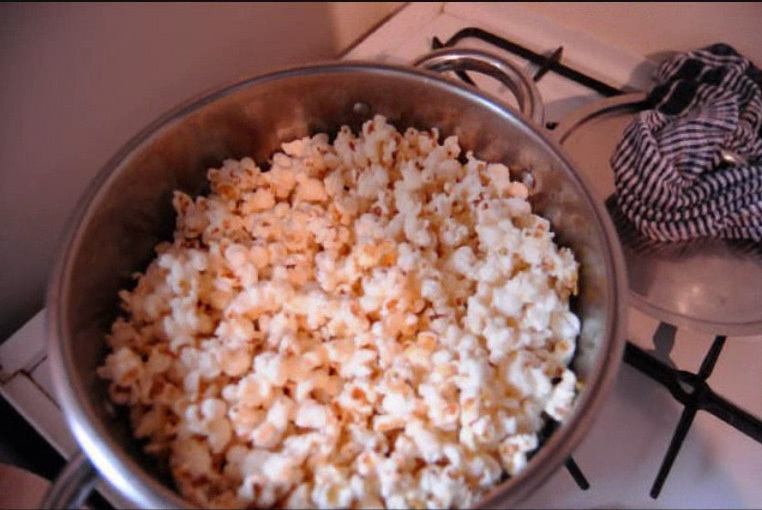 Cover the bottom of the pot with a single layer of pop corns. Put the pot on high heat and give the pot a steady shaking shake (continuous motion), this will prevent the popped corns getting burnt. 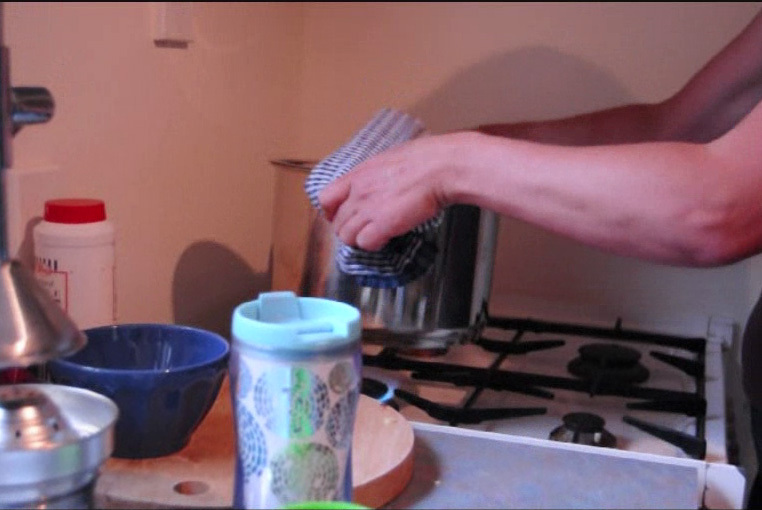 keep moving the pot until the popping slows down (N.B. don’t keep going until all pops stop because you will burn it). 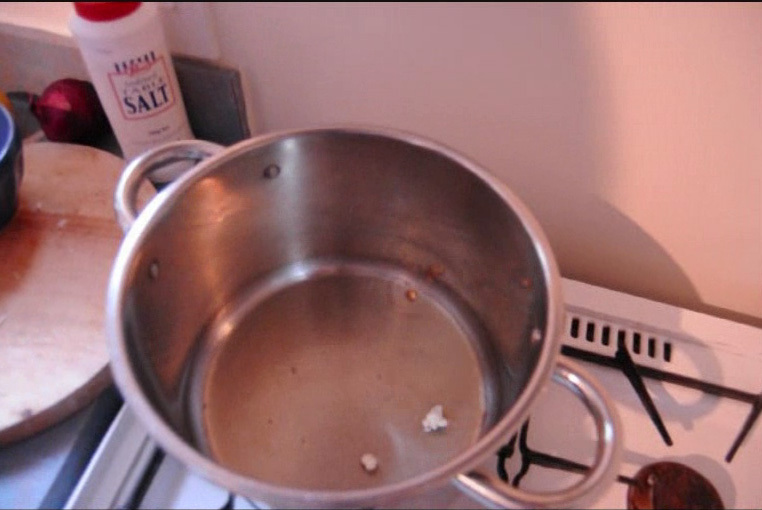 Burnt popcorn tastes bad, really bad so make sure you keep the pot moving in a shaky (continuous motion) kind of way. Burnt popcorn is very hard to clean off the bottom of the pot. Eat & enjoy, you can sprinkle over a little salt, melted butter or icing sugar (think healthy body and only add a little).